One thing is sure that upcoming Honda car Honda Amaze will be truly amazing. This is what the early images that are doing rounds on the internet suggest. However, the new Honda car has started gathering criticism as it is being censured that the Amaze is nothing more than a boot addition to the Honda Brio hatchback. Meanwhile, the car is soon to be come and the launch will be first in Thailand and then the first Honda car with diesel engine option will be launched in India in early next year. The price of Honda Amaze is expected to be between Rs 6 lakh to Rs 7 lakh and it is expected that the car will be an instant hit in India. The global launch of the Brio based Amaze sedan will be done in a couple of days and then there will be a series of launches in other countries. In india, the Amaze is expected to gather momentum fast as the brand is one of the best ones but the only factor that has desisted from having large volumes is the lack of availability of diesel option on the present cars including Brio, Honda Jazz, Honda City, Honda Civic, Honda Accord and not even on the SUV Honda CRV. The Honda sedan will be competing with Maruti Swift Dzire, Tata Indigo CS, upcoming Mahindra Verito CS and the probable Hyundai compact sedan that is also in discussion these days. Sources say that Honda is also thinking of launching a compact sedan based on Hyundai i20. 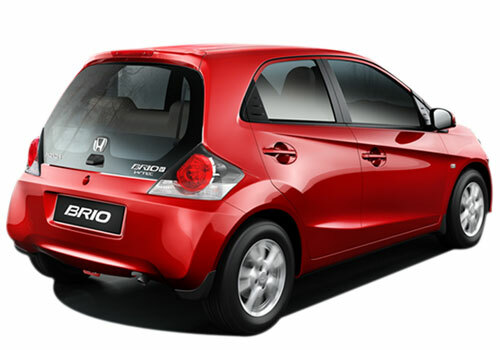 In order to distinguish the Amaze from Brio, the car manufacturer has increased the wheelbase and thus the car offers more space for the rear passengers and the availability of the diesel unit that is expected to be highly mileage friendly is what Honda thinks that will fetch response from people towards the new car. The expected Honda Amaze price is impressive and affordable but the company should offer both petrol and diesel models of the sedan in this price range. Honda Amaze features must be more than Brio.